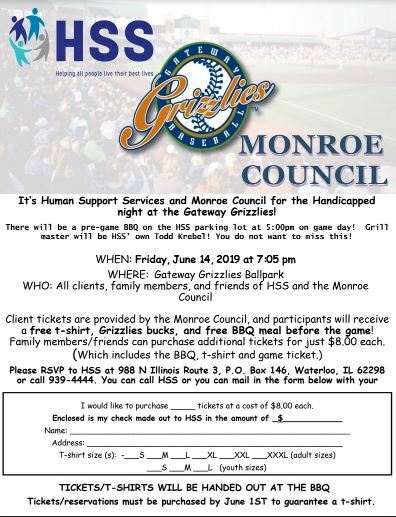 All clients, staff, family and friends of HSS and the Monroe Council are invited to the annual Night at the Gateway Grizzlies! There will be a pre-game BBQ on the HSS parking lot at 5:00pm on game day! Grillmaster will be HSS’ own Todd Krebel! You do not want to miss this! 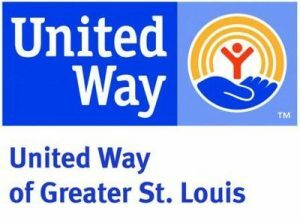 Please RSVP to HSS at 988 N Illinois Route 3, P.O. Box 146, Waterloo, IL 62298 or call 618-939-4444.